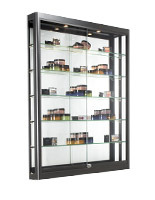 This locking retail cabinet features built-in top lighting, tempered glass construction, and silver aluminum framing with stylish angled sides. 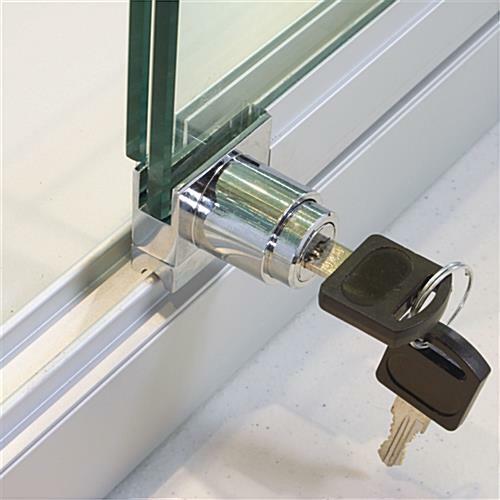 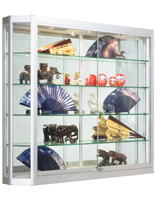 Each eye-catching showcase is designed for wall mount installation in areas with heavy traffic and comes with two Z-bars and all required hardware. 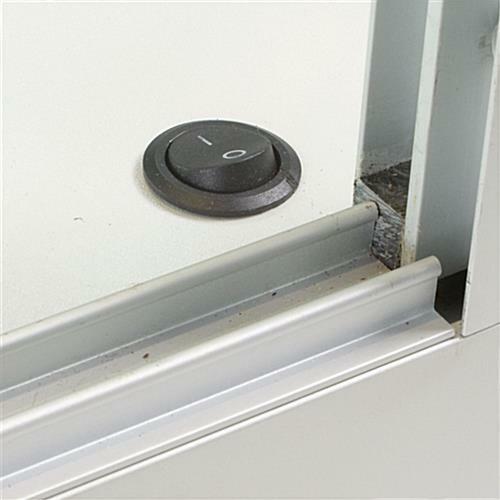 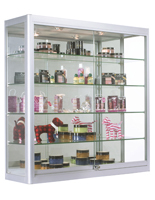 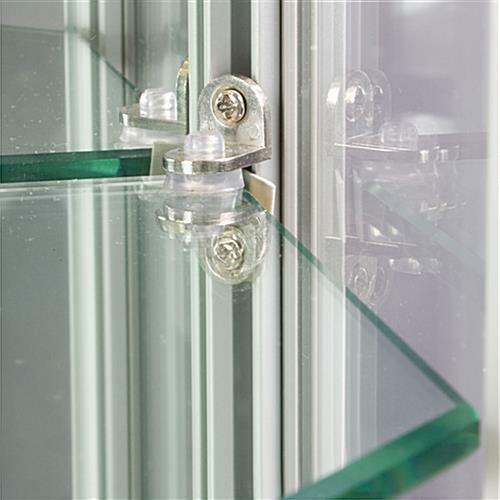 This tempered glass retail cabinet features sliding access doors with a secure plunger lock to protect valuable merchandise and displays from dust, damage, theft, or unauthorized access. 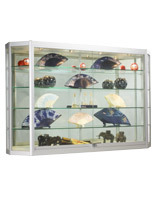 Each high visibility case is a great way to showcase high-value merchandise including electronics, jewelry, or collectibles as well as trophies, awards, and antiques. 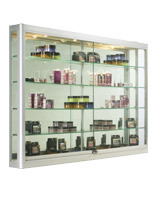 This silver-frame 4-shelf retail cabinet with built-in top lights and angled sides offers a clean, modern design and neutral finish that will complement any environment. 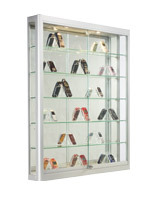 This versatile display fixture is an economical choice for schools and organizations, retail stores, and commercial business operations. 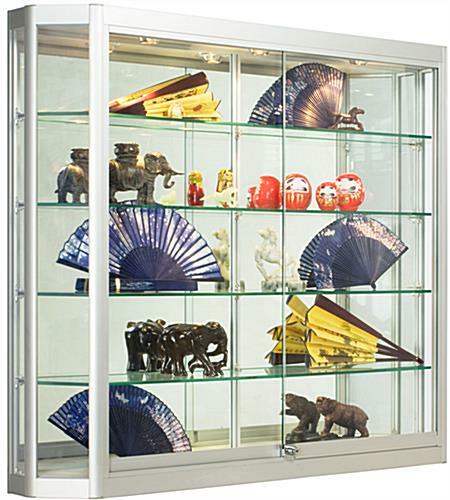 This tempered glass cabinet with 4 adjustable shelves is designed to hold a wide range of sizes in the 47.25" wide, 8" deep case. 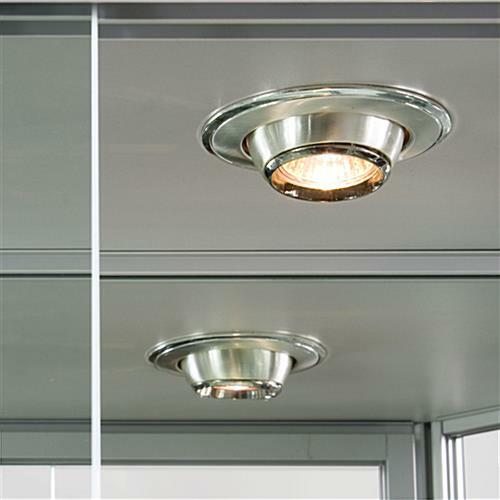 Each roomy fixture features three 20-watt top lights built directly into the cabinet for brilliant, even interior illumination. 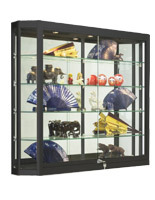 This wall-mount display cabinet with angled sides is easy to install and ships fully assembled with all mounting hardware, including two sturdy Z-bar mounts, included.